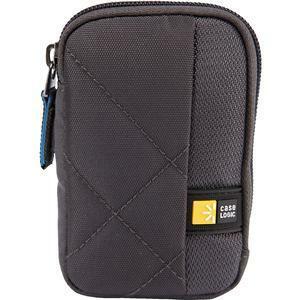 Get essential protection for your compact camera. 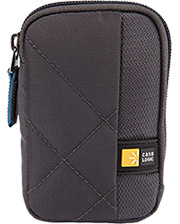 When capturing a block party or a day at the park, this Case Logic CPL-101 Digital Camera Case with ready-to-wear styling is ideally sized to throw into any bag or carry around your neck. 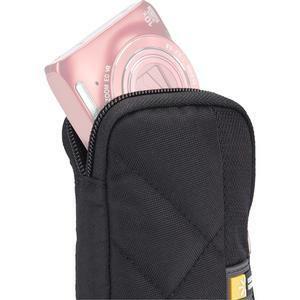 Contemporary quilting enhances the casual aesthetic and reveals just how much padding is protecting your camera. 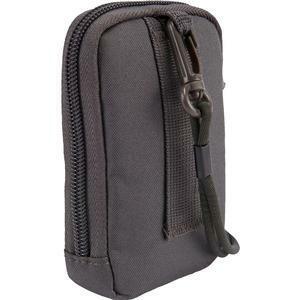 Made from sturdy nylon fabric that resists moisture and abrasions, with soft padding that keeps your camera safe from minor impacts. A built-in loop provides an attachment point for a belt or strap as an additional carrying option. 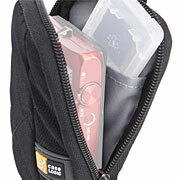 Fits: Most compact point-and-shoot cameras, plus a spare battery and memory card.